Maximize the storage capacity of your EMC CLARiiON AX4 series SAN. The EMC AX-2SS10-300 is a 300GB SAS 3GB/s 10,000 RPM hard drive. All EMC hard drives sold by SPS Pros are previously used, fully tested, and backed by a 60 day warranty against defects. Same day and expedited shipping available! The AX-2SS10-300 is also known as part numbers 005049084, 005050106, and more listed below. 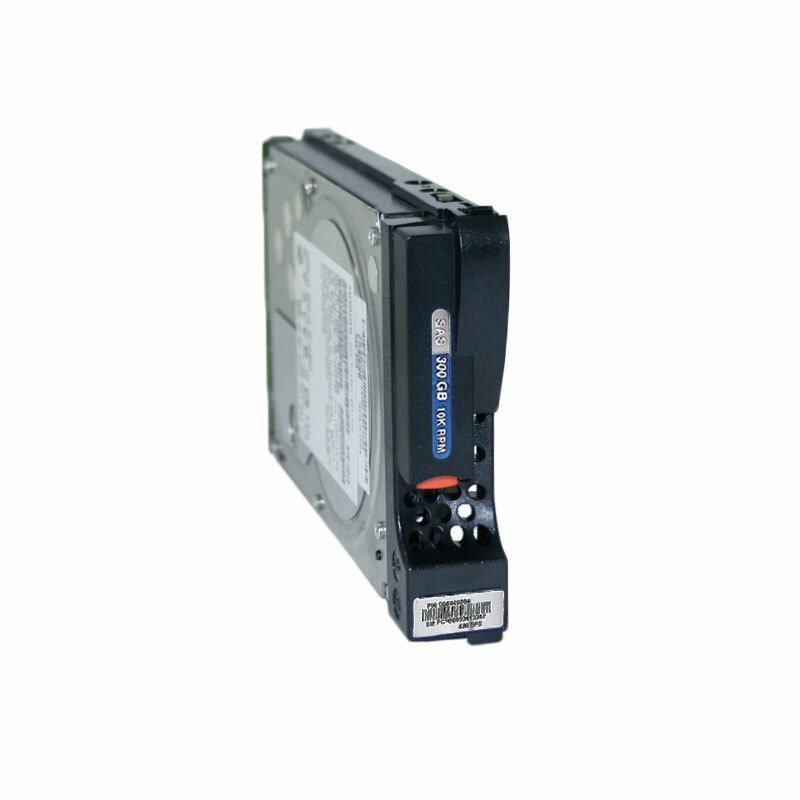 Serial Attached SCSI (SAS) hard drives provide performance and reliability that are equivalent to fibre channel drives. SAS is a serial communication protocol for direct attached storage (DAS) devices. It is designed for the corporate and enterprise market as a replacement for parallel SCSI, allowing for much higher speed data transfers than previously available, and is backward-compatible with SATA drives. (SATA drives may be connected to SAS controllers. However, SAS drives may not be connected to SATA controllers.) Though SAS uses serial communication instead of the parallel method found in traditional SCSI devices, it still uses SCSI commands for interacting with SAS end devices. Due to the lower loops speed of 3 Gb/s, SAS drives are currently supported only on the Dell AX series arrays. The entry external storage market, which has traditionally utilized either parallel SCSI or SATA drive technology, has been the fastest adopter of SAS drive technology. For these systems, the ability to mix plug-compatible SAS and SATA drives is a distinct advantage over parallel SCSI, which lacks tiered storage flexibility. EMC CLARiiON AX4 hard drives allow for easy and cost-effective scalability. The AX4 can scale up to 60 drives through four expansion enclosures and up to 120TB of capacity for headroom that will keep users and applications in their comfort zone. The EMC CLARiiON AX4 can be equipped with serial-attached SCSI(SAS) drives for performance-oriented applications and serial ATA (SATA) drives to deliver the lowest cost per gigabyte and the highest capacity per drive. The ability to mix SAS and SATA drives within each enclosure provides the most flexible and economical system configurations for all needs.